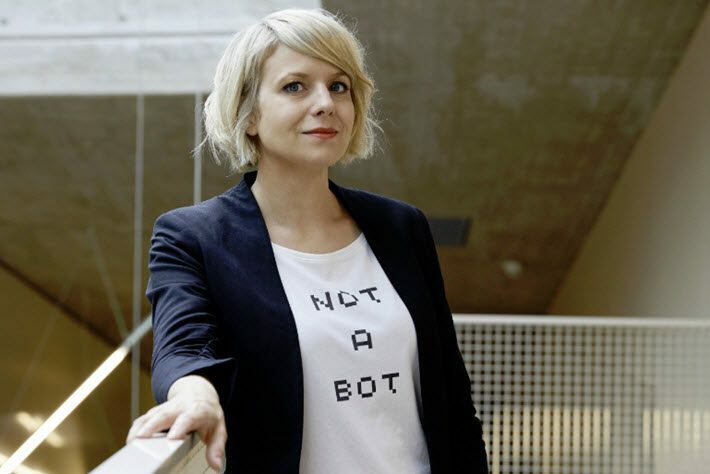 The Frankfurter Buchmesse will offer a session during Austin’s SXSW on Sunday (March 10) with a focus on artificial intelligence and culture. The event’s host is Holger Volland, a vice-president with Frankfurt and head of its Beijing office. Volland has been working for years in the area of AI and society’s cultural needs, having founded THE ARTS+ program at the fair and published Die kreative Kraft der Maschinen (The Creative Power of Machines, Beltz Verlag, 2018). 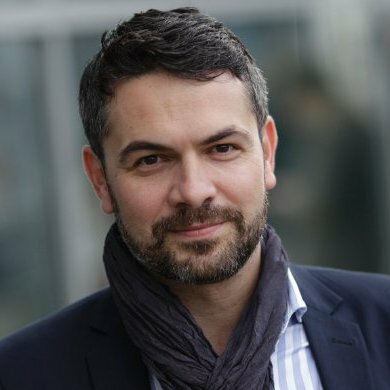 In taking the AI event to Texas for the tech-heavy South by Southwest program (March 8 to 17), Holger is joined by Martina Mara, a researcher and robopsychologist at Johannes Kepler University Linz and member of the Austrian Council on Robotics and Artificial Intelligence. Their event is titled “Robopsychology and AI Culture,” and will be held, free of charge, at 4 p.m. CT at the German Haus, in Graeber House on East 6th Street. SXSW badge holders can register for the session here. Seating is on a first-come, first-served basis. Who needs psychological counseling: robots or people? Who should define the ethical guidelines for AI? How can we avoid creating manipulative technologies? SXSW is primarily based in film, music, and interactive technology, although at times its events engage members of the publishing world. The London-based digital author Kate Pullinger of Bath Spa University, for example—familiar to Publishing Perspectives readers—will be there this year, speaking on a panel called “How Books Are Fighting Back in the Digital Age” on March 9 (12:30 p.m. CT) at the Austin Convention Center, Ballroom F.
South by Southwest was founded in 1986 and had its first outing in March 1987. Originally based in music, the program added film and interactive elements in 1994 and by 2013, registrants in the digital part of the event, SXSW Interactive, had reached 30,000. Mara has been a professor of robopsychology since April of last year at Kepler in Linz. Her doctorate in psychology is from University Koblenz-Landau, and her dissertation looked at user acceptance of anthropomorphic machines. Her research today is on public attitudes towards robotics and AI, as well as the psychological effects of simulated human likenesses in collaborating robots. She writes a regular column, “Schöne neue Welt” (“Brave New World”) for Oberösterreichische Nachrichten.